This week's Tuesday Trivia topic: roundabouts and safety. Sullivan County has received a grant to add sidewalks to the Blountville Historic District. A plan showing the addition of a sidewalk along State Route 126 — from the historic Deery Inn to Blountville Boulevard and then along the latter to Blountville Elementary School — has been presented at two public meetings of area business owners and residents. The concept drawings include replacing the current traffic light at SR 126 and Blountville Boulevard with a roundabout. That became a focus of hot debate among members of the public at both meetings. Some said it was a terrible idea and locals would never be able to understand how to use it. Others said it would create a traffic jam and be difficult for school buses to navigate. There are several roundabouts in Kingsport, and for many years there were at least three traffic circles at major intersections in the city of Kingsport. Church Circle, a downtown landmark, remains at the convergence of four streets. In addition, in recent years multiple roundabouts have been added to some previously challenging intersections in the Model City — including Industry Drive/Netherland Inn Road/West Center Street and Watauga Street/East Ravine Road/Gibson Mill Road. • "By reducing the number and severity of conflict points, and because of the lower speeds of vehicles moving through the intersection, roundabouts are a significantly safer type of intersection." • "Most significantly, roundabouts reduce the types of crashes where people are seriously hurt or killed by 78-82 percent when compared to conventional stop-controlled and signalized intersections." 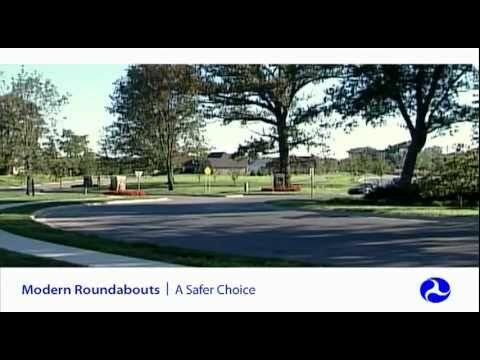 • " ... the fundamental and essential characteristics of all roundabouts include: traffic travels counterclockwise around a center island; vehicles entering the roundabout yield to traffic already circulating; and curvature that results in lower vehicle speeds, generally 15-25 miles per hour, throughout the roundabout." • "Roundabouts have proven to be a safer and more efficient type of intersection." • "Still, because they may be unfamiliar to most people, successful implementation of a roundabout requires extra outreach and education."